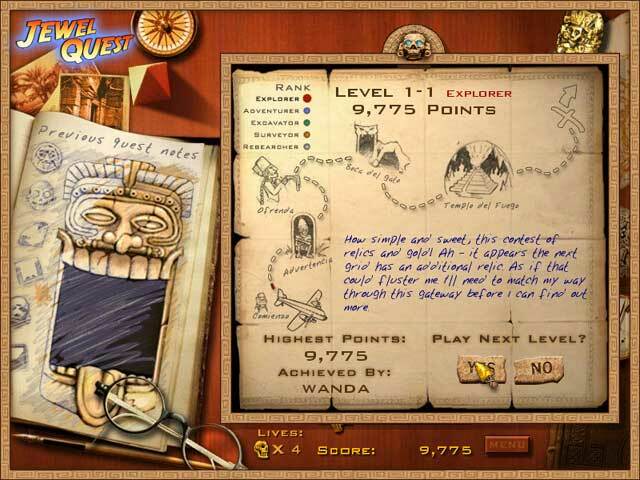 Jewel Quest: Discover the ancient Mayan treasures ! 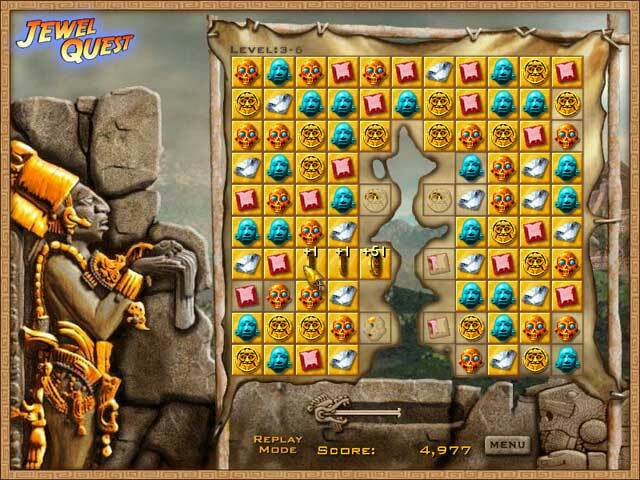 Jewel Quest Game is one of a kind puzzle adventure! Jewel Quest Game - Grab your gear, you're about to embark on a one of a kind puzzle adventure. With the help of your Jewel Quest journal, the wisdom of ancient scripts and your puzzle expertise you will discover the fabled Tonatiuh - The Temple of the Fifth Sun. The ancient scripts say "Align the relics you can see, across or down in groups of three. Turn all squares to solid gold, the path to riches will soon unfold". Enjoy classic swap and match game play while immersed in an exciting archeological theme. 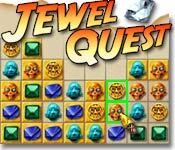 Stunning graphics and complex puzzles make Jewel Quest Game a must have. 36 replayable puzzles to solve. Luxor Game - Action puzzle game that takes you on a thrilling adventure across the lands of Ancient Egypt. Bud Redhead Game - Bud Redhead is desperate! Only you can help Bud Redhead to rescue Rachel ! perfect puzzle game for you ! Platypus Game - one of the most unique looking games ever created. All of its visuals were created using photographed plasticine (clay)! Cosmo Bots Game - one of those games that you just can't stop playing! It's fun, easy, yet takes skill to master. Another classic genre gets a total overhaul from Retro64! Fatman Blocks 2 Game - represents a brilliant example of puzzle-tetris blend. Now colorful blocks and bricks falling from above give even more fun! Brave Dwarves 2 Deluxe - A great deal of amusement Brave Dwarves Game is awaiting you and your kids. GutterBall Bowling Game - A realistic, fast-paced and attitude-filled 3D Gutter Ball bowling game. Big Money Deluxe - Grab all the coins you can in Action, Strategy, or Puzzle modes..., you'll love this Big Money Game. Smugglers 2 /3 Game - It is the sequel of the known strategy-trading game for Windows. Cloud Burst Game - Big colorful drops are coming down hard in this fun and super addictive new puzzle CloudBurst game for you! Chainz Game - Rotate colorful links to create valuable chains in this challenging puzzle game. Crystal Cave Gold - A supreme family-fun puzzle game. Board Games Collection - The game is a collection of four board games: Speed Lines, Super blocks, fast balls and real clicks! Sliding Puzzle Game - Sliding Puzzle Game. Beeline Game - Meet with adventures of a small bee! Guide it through the fields of honeycombs filling them with honey. Clickris Game - Clickris is arcade-style puzzle game for Windows! Bejeweled for Windows - A windows version of Bejeweled (also known as Diamond Mine) that you can play on your PC any time you want. Trivia Machine Game - Climb to the top of the ladder by answering fun questions from the trivia machine!